£60m star Kalidou Koulibaly sends brilliant birthday message to Benitez – What a story.. – NUFC blog – Newcastle United blog – NUFC Fixtures, News and Forum. 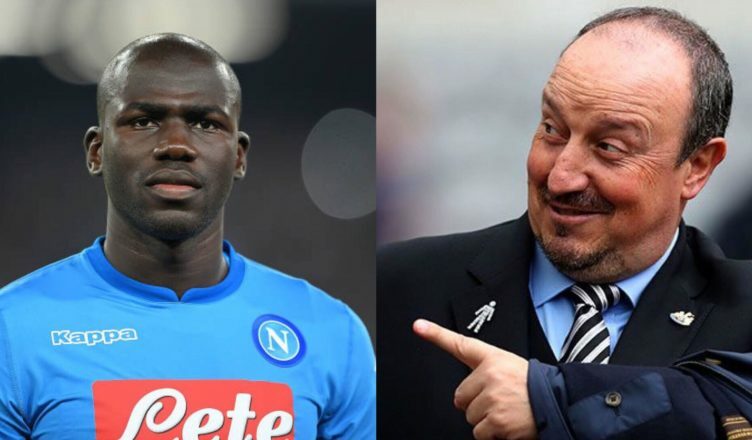 Five years after giving him his first big chance in top level football, Napoli star Kalidou Koulibaly has sent a brilliant birthday message to Rafa Benitez; thanking the Newcastle boss for ‘always believing’ in him. Rafa plucked the 6ft 5′ centre-back from Belgian side Genk for just £6.5m back in 2014. A few years on and he’s one of the most respected centre-backs in world football, being worth over ten times the fee Benitez bought him for. Thanks to Rafa’s help and some superb seasons to follow in Serie A, the 27-year-old is now considered one of the top defenders in Italy and is being tipped to make a £60m move to Spain or England this summer. Koulibaly has clearly not forgotten the man who gave him his first taste of football in one of Europe’s top leagues however, with him sending this birthday message to Rafa Benitez today. You have always believed in me: all the best for your birthday Rafa Benitez! Amusingly, the player himself admitted last year that he thought Rafa Benitez’s calls were a joke when the Spaniard called him up hoping to sign him several years ago, revealing how he put the phone down after fearing it was a ‘prank’. How times have changed, with him now receiving enquiries from the likes of Real Madrid and Manchester Utd by all accounts. “Rafa Benitez and Ancelotti have a pretty similar style of football. “Rafa Benitez allowed me to discover real football. I was in the French second division, then Belgium, but he gave me the opportunity to come to Serie A for the first time, a truly important league. Happy Birthday Rafa – a brilliant manager who doesn’t half know a good centre-back when he sees one!